Video games and television shows are two storytelling mediums that have a history of not working so well together. The audience of the two are incredibly different, with television having a set narrative for a more passive observer, while video games, whilst most follow a storyline, are experienced by the players which changes the dynamic of the story. 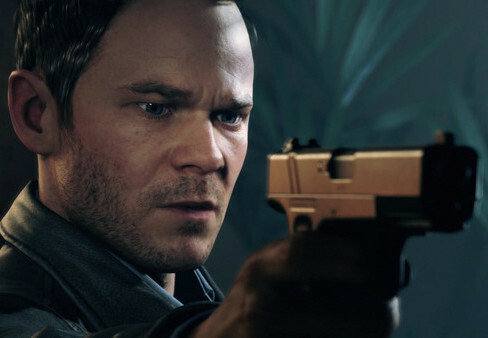 Quantum Break successfully merges the two together, creating a video game that impacts the events of the television show. It’s obviously hard to talk about story given the nature of this game. Jack Joyce, played by Shawn Ashmore, is invited by best friend Paul Serene (Aidan Gillen) to witness Serene travelling through time. In what turns out to be an orchestrated experiment gone wrong, the time machine unwillingly gives Joyce powers to manipulate and control aspects of time. Additionally, the time machine creates fractures in time; waves that temporarily stop the movement of time and that threaten to eventually become permanent causing time to stop indefinitely. Serene, who works for the company Monarch, is behind the time travel experiment, tries to control the public reaction following the experiment, using a combination of PR and physical force to silence their vocal enemies. Developer Remedy Entertainment have had previous success with medium blurring genres; Alan Wake brought video games and novels together quite effectively. Where Quantum Break shines in this dual storytelling experience, is that the television show is separate to the game. Yes, they complement each other, yet the show acts of a means of expanding the side characters that Jack may not get to spend time with. We learn about the motivations of other characters and the history of Monarch, the company behind the time travel experiment. There is enough content in each aspect of the game that they can work as standalone pieces, but they work best when they’re used together. And like Alan Wake, Quantum Break also litters narrative elements around the game world for Joyce to find. They vary from classified e-mail that give hints to what’s upcoming in either the game or the show, documents that tell you about the various buildings that act as set pieces, or my personal favourite, a terrible script for a sitcom show. What makes this game so believable is the use of actors to portray the character. Not only does the stellar cast, Dominic Monaghan, Courtney Hope and Lance Reddick, bring expertise to the table, it also helps that the costume/design departments have worked closely together, to ensure there is a consistency throughout both the game and the show. We’re not at the state yet where we can create such high-quality models that the actors look exactly the same in the game to their real-life counterparts, but it's close enough that the similarities immensely improves the immersion of the player. 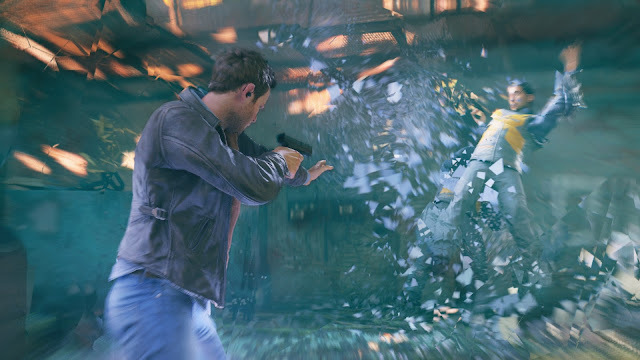 Making Quantum Break as realistic as possible was ideal to connect to two together, and credit must be given where it is due as this game is stunningly beautiful. What you see in the show is also dependant on the choices you make at the end of each act. 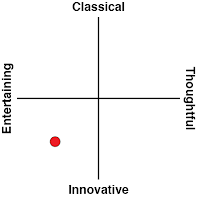 Known as junction points, they act as pivotal moments in the game that will change the outcome of the next act. With the ability to manipulate time, you can see into the future and witness the ramifications of these decisions. And they have lasting results throughout the rest of the story. The fate of certain characters rest in your hands, and the TV show reflects the decisions made as well. What’s interesting to note is that although the game is played through the protagonist Joyce, these junction points are decided by Serene, changing the way I would approach them. 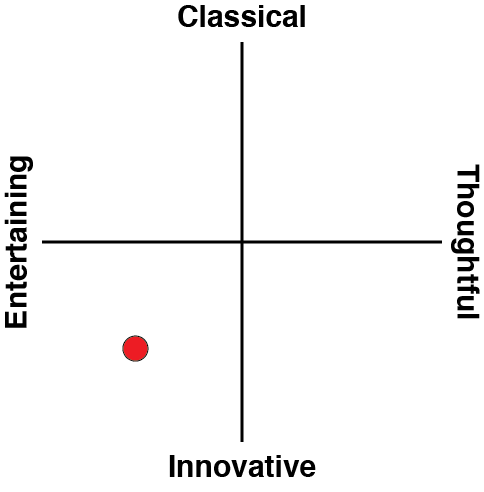 I felt a responsibility, given the nature of the storytelling here, to stay true to Serene’s character. Deep down I believed he valued his friendship with Joyce, and that’s the way I aligned myself throughout my decisions. In terms of gameplay, the combat is where you’ll spend most of your time, sadly. There isn’t much to yell home about as the basics are simple at best. The introduction of the time mechanic however lets plays freeze certain parts of the world, or certain individuals, allowing Joyce to shoot bullets into the frozen time, which impact together when time resumes. It does allow for some interesting combos to emerge, in freezing time in the right spot can allow you to hit multiple targets if angled correctly. Like many games with simplistic combat mechanics, most of the frustration arises from bullet sponges, beefed up enemies that take an unrealistic number of bullets to take out. It draws these combat sections out much longer than they need to be. By far the most interesting enemies are the ones fitted with devices that give them the same powers as Joyce. They can manipulate time like you can, which proves for interesting challenges. I love when developers take risks, that’s when we get some incredible games. 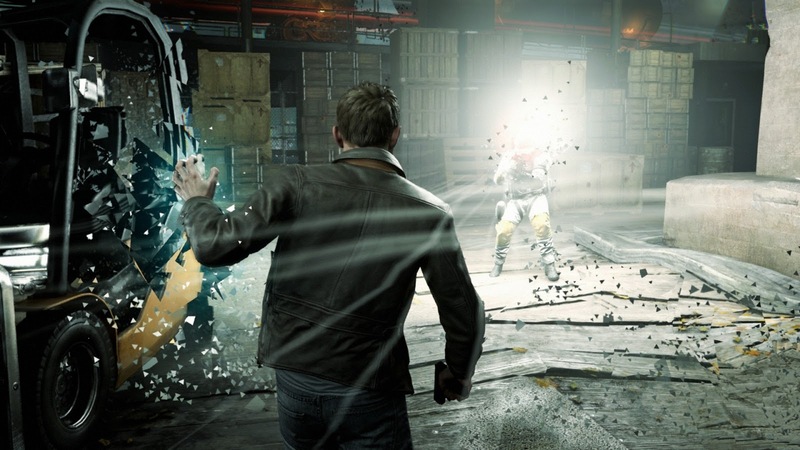 By itself, Quantum Break wouldn’t have been as successful as it is. The gameplay is not strong enough to stand alone. But in collaboration with the TV series, the stunning cast, the script, the set and character design all work so well together that it elevates Quantum Break for just an interactive experience to an interactive collective.